The other night, two new inquisitors were introduced on-screen in the new “Star Wars Rebels” episode, “Always Two There Are”. 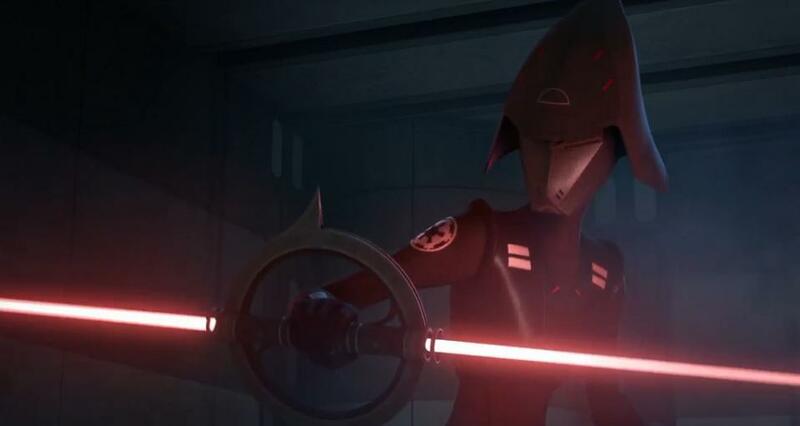 In the first season of “Star Wars Rebels”, we were introduced to The Inquisitor, who was tasked by Darth Vader to hunt down Jedi and their trainees. He was not only a very skilled fighter, but possessed a really awesome, spinning, double-bladed light saber, not to mention that he had studied the Jedi and knew their fighting styles. When he went down at the end of the first season in the final episode, “Fire Across The Galaxy”, it seemed as if he was all that there was who hunted down Jedi, perhaps aside from Darth Vader, whom we see at the tail end of “Fire Across The Galaxy” and in “Siege of Lothal”. 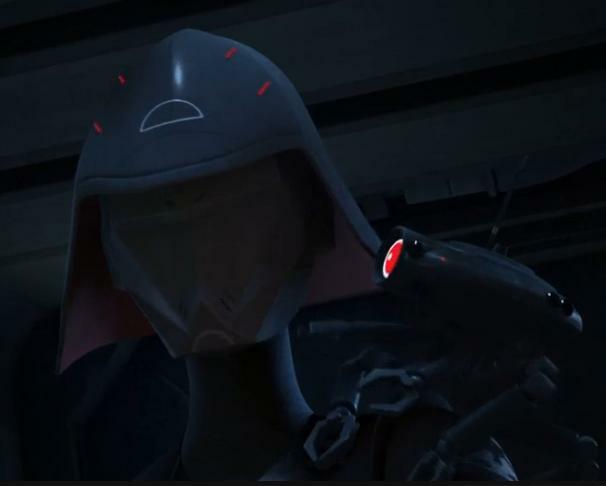 However, while we got a brief glance in last week’s episode, “Relics of the Old Empire”, of one such potential hunter of Jedi, we got more of an introduction in last night’s episode, as well as to one of his colleagues. More importantly, we discover that The Inquisitor was actually The Grand Inquisitor. Agent Kallus’ changing attitude towards the Inquisitorious is interesting to note, especially contrasted with Admiral Konstantine’s dismissal of them as “mystics”. 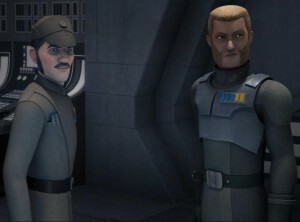 Kallus respectfully defers to Fifth Brother’s judgment in this episode, while he repeatedly scoffed at the Grand Inquisitor’s Force talk last season. I wonder if witnessing the power of the Force on a regular basis has turned him into a believer? It’s interesting that when it comes to Jedi, they know about Ahsoka Tano, but not about any others. 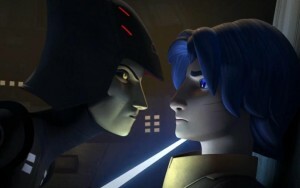 Also interesting is that Ezra doesn’t know Ahsoka Tano, well, at least not by that name. The Fifth Brother is able to track down Sabine and Zeb, knocking them out. 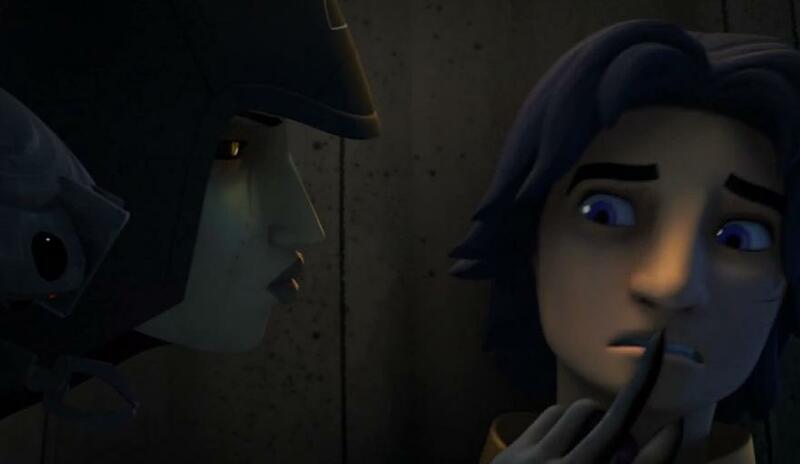 He takes Sabine back with him and, arrogantly, instructs his droids, “The other is yours”, as if he has no lack in confidence about their ability to retrieve him. When he meets up with The Seventh Sister, he asks her, “What has the boy revealed?” Sharply, she replies, “Nothing I wish to share.” Clearly, there is competition amongst them(!). 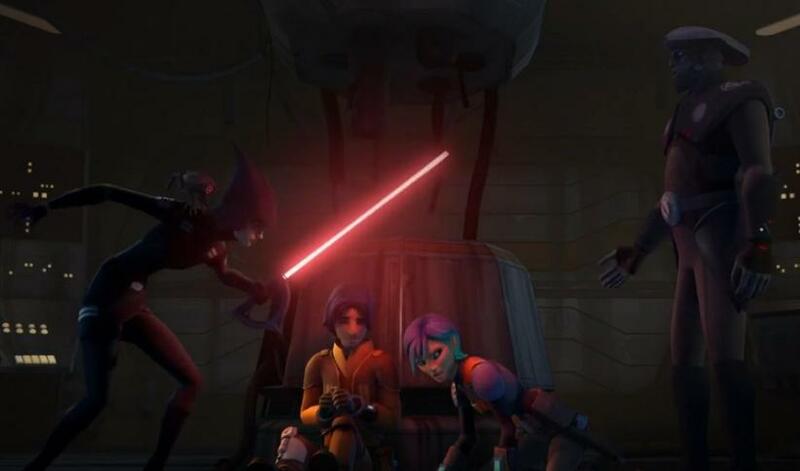 Eventually, the two inquisitors fall for a ruse that Chopper and Zeb cook up to break Sabine and Ezra free and they return to The Ghost, although not before the two inquisitors use the Force to nearly yank the Phantom back into the hangar. 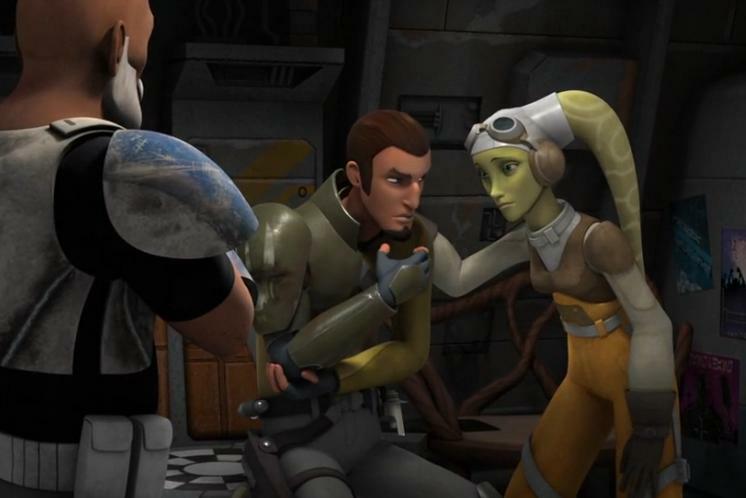 Hera: “Do you think Ahsoka knows? Now, we’re starting to understand the structure of the Inquisitorius a bit more. 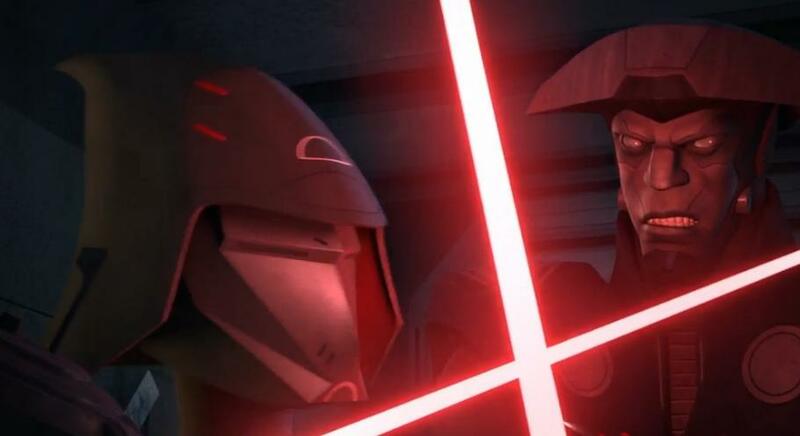 It’s still wrapped up in mystery and for good reason, but we now understand that the Inquisitor from season one is The Grand Inquisitor and these two new inquisitors follow in his footsteps. They have numbers in their names, which, to me, suggests that there’s a desire for advancement. Now what exactly they mean, we’re not ready to say just yet. But it does suggest that there’s a small number of them and that there’s a degree of competition among them. 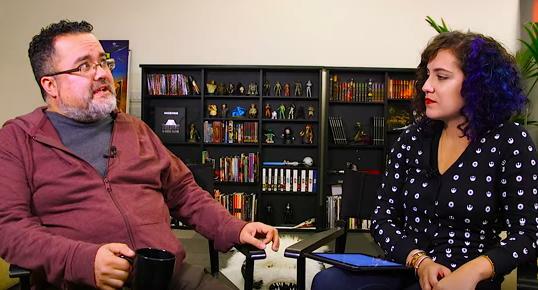 We reveal that they refer to each other as “Brother” and “Sister” at this point, which, of course, they’re not related, but it’s kind of to make them feel more like some sort of strange cult. They’re not called “Darth”s because they’re not Sith, so they’re First Brother, Second Brother, Third Brother…. Looking ahead, Hidalgo then states, “I will say as we go through season two, you’re going to find out more about where they came from; …you will find out more about their origins.” Filoni then builds on this and says, “You will learn a great deal about the Grand Inquisitor.” But then he goes on to tease us: “You will be able to guess at who the Grand Inquisitor was. This is the cruellest thing to say, but: it’s not the first time you’ve ever seen him. He has been in The Clone Wars. you just didn’t know it.” This is cruel and exciting at the same time. 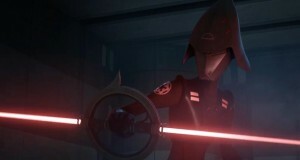 Last season, a single Inquisitor was the primary adversary of the Rebels. This being used a lightsaber, The Force, but was not a Sith. Instead, he was employed by a Sith–Darth Vader–to help track down the remaining Jedi. Well, that Inquisitor was killed by Kanan and this episode introduced not one, but two new Inquisitors. That’s bad news for the Rebels, but great news for fans of Star Wars. [T]he possibility of more, adds a whole new dimension to Star Wars as a whole. “Always two there are, no more, no less, a master and an apprentice.” But that may not necessarily be true anymore, because of this mysterious group of lightsaber-wielding badasses called Inquisitors. No longer do you need to be a Jedi or Sith to use the Force, and no longer are you limited by numbers. The Inquisitorious has been a dream of Palpatine’s for a long time. In this episode he hires Cad Bane to kidnap Force-sensitive children to be trained as, “an army of Force talented spies in my service. Trained in the Dark Side to peer into every corner of the galaxy from afar”. Sound familiar? 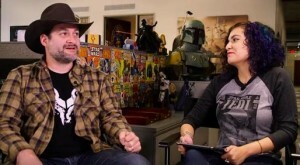 This second season of Star Wars Rebels is going to be awesome.